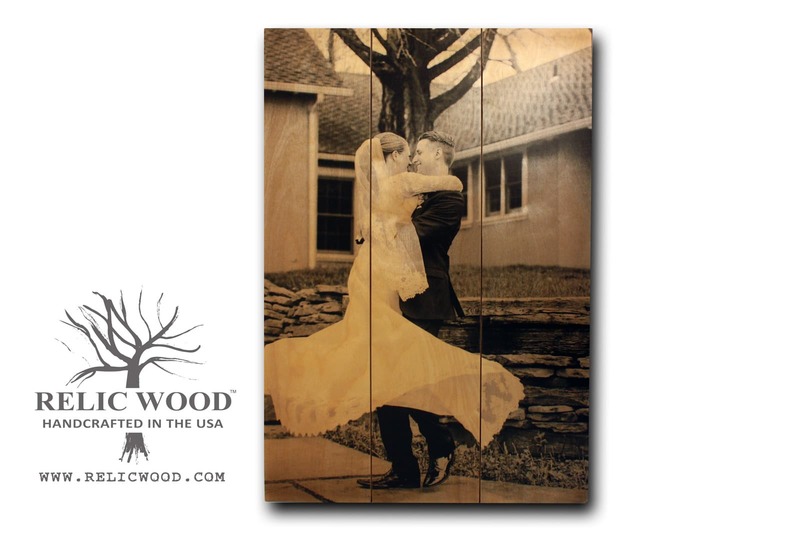 Custom Pallet Sign features your Photos / Text / Artwork embedded into the wood. Work one on one with our graphic artists. This custom pallet sign art can be small, medium, large, extra large, and massively large and will make a serious statement in any room. Custom Pallet Sign – Makes an amazing statement piece. Do you have great photos trapped on your silly little phone on that teeny tiny screen? Set them free and bring them to life on our handcrafted custom Pallet Signs. At Relic Wood, we make them small or Think Larger than Movie Poster Size! Perfect for decorating your walls to fit your style. Work one on one with our graphic designers to incorporate your photos, text, or artwork files on these awesome custom pieces. Perfect wall art for bedrooms, kids room, living room, kitchen, bathroom, office, retail space, restaurants . . . the list goes on forever.